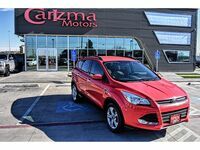 Looking for a used Ford model near Lubbock TX? 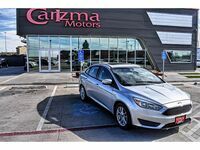 Carizma Motors currently has a large inventory of used Ford vehicles, including the Fusion, F-150, Edge, Focus, Fiesta, Expedition, and more. Ford is one of the most popular brands in the country thanks to its reliability, affordability, and quality. All of our used vehicles have been inspected for safety, and are affordably-priced. Our used Ford models range from the early 2000s to as early as the previous model year. Ford offers many great models to choose from—the Ford F-150 is a popular pickup truck, the Ford Escape is a great, all-around compact SUV, and the Ford Fusion is a stylish, sporty sedan. Take a test drive in one of our used Ford models to see if it's truly the one for you. 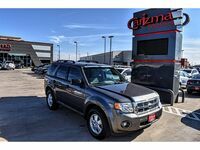 Carizma Motors has two locations in Lubbock—one on West 19th Street and the other on Frankford Avenue. Our professional, friendly staff are committed to helping you find the car that fits your needs, lifestyle, and budget, and will never push you to make a sale. Our inventory is constantly changing, so make sure to check back often if you don’t see the used vehicle of your dreams on the first visit. Call or stop by today—we look forward to doing business with you! 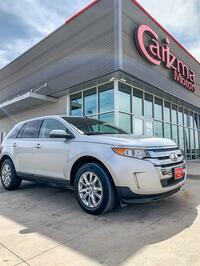 Visit Carizma Motors to check our our used Ford inventory! Interested in a Used Ford Models?